Over the course of history, we have searched for ways to make life manageable, especially when it comes to finding different ways to eliminate any negative feelings like anxiety or depression. This has been done with entertainment and drugs alike. After discovering that chemicals called sedative-hypnotics can magically cure anxiety, doctors found ways to use them to solve different types of neurological symptoms like insomnia or seizures. No one predicted that the same drugs that can cure these medical ailments can also be extremely addictive and dangerous. In an effort to resolve this, drug rehabilitation programs have been created to undo the curse. Sedative-hypnotic drugs fall under a broader category called depressants because they, like other drugs in the depressants category, depress the central nervous system. Other depressants include alcohol and opioids, although sedative-hypnotics are a bit different than both. They are not as bad as opioids, but not as weak as alcohol. What sedative-hypnotics were designed for is to relieve people from anxiety, insomnia, and seizures. These drugs have also been used in anesthesia for surgery and other painful operations to reduce pain and fear. 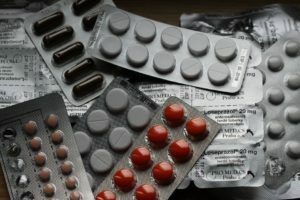 While these drugs are commonly prescribed for mental disorders or milder forms of mental disorders by doctors, clinicians in rehabilitation facilities and general medical clinics alike, recognize that these drugs are addictive and can be easily abused. Barbiturates were discovered in the 1930s and represented the first effective sedative-hypnotics in history. They later rose in the 1950s despite discoveries of their addictive nature. These drugs were prescribed for depression, insomnia, and anxiety. They worked well, but an unfortunate consequence of using barbiturates was that one small error in dosage could mean death from overdose, not to mention the tendency for individuals to become dependent on them. Back then, barbiturates were given to patients in pill or liquid form and came with side effects like memory impairments, bad coordination, poor judgment, suicidal thoughts, paranoia, tolerance, and risk of overdose. Signs of overdoes are dilated pupils, weak or fast pulse, and shallow breathing. In the United States, stricter guidelines started taking hold in the 1960s after more people were abusing barbiturates, some recreationally and some who started out using the drugs for a medical condition that later morphed into an addiction. In recent years, sedative-hypnotic drugs are considered the 5th leading cause of death, which plays a role in what the opioid crisis is all about. Currently, the most prescribed sedative-hypnotics in the U.S. are benzodiazepines, which means barbiturates have become far less common today than in the 1950s. Benzodiazepines also offer relief from anxiety, insomnia, depression and can be used as muscle relaxers, anti-convulsants, and hypnotics. It is easy to see why these drugs are abused because almost anything that offers a stress relief can be addictive. There are three main aspects that are involved in addiction: dependency, tolerance, and withdrawal. The withdrawal symptoms of barbiturates set in after only 8 hours of not taking them and include restlessness, muscle tremors, sweating, trouble sleeping, anxiety, and hyperthermia. These symptoms may worsen and turn into seizures, cardiovascular problems, and death if not treated by a medical professional in a drug rehabilitation program. Benzodiazepine withdrawal can involve insomnia, irritability, tension, anxiety, panic attacks, sweating, nausea, headaches, muscle aches, and trouble concentrating among others. All sedative hypnotic drugs pose the dilemma of tolerance, which means that each subsequent time the individual takes the drug, the drug becomes weaker. The reason tolerance is a dilemma is because the individual has to decide between taking the same amount of the drug with less desirable effects or take a higher dosage with the desired effects, but with a risk of overdose. Sedative-hypnotics become dangerous as soon as dependency sets in. When someone is dependent on a drug, this means they have a reached a state in which they can no longer just stop taking the drug because if they do, the horrible withdrawal symptoms will return. At this point, the individual is caught between taking a drug that does not seem to work anymore and not taking the drug and enduring aches all over the body, the return of anxiety, and a sense of impending dread with little relief. Cravings also play a huge role in the danger of sedative-hypnotics because cravings are what propels the individual to take the drug again, usually against their own will. People commonly misjudge those who are struggling with an addiction. Most people, when they first start out, do not envision getting hooked on a substance that seems to take over their life with the looming danger of death at the end by overdose. No one thinks they will ever find themselves in and out of rehabilitation facilities, but the overbearing nature of addiction sneaks in quickly. So many more people, especially physicians, are aware of the negative effects and risks of prescribing sedative-hypnotics because of all the deaths that have been rising in the last few decades. At The Recover, we understand that facing addiction alone and without the help of drug rehabilitation is not easy for anyone because logical thinking and decision-making are often skewed by withdrawal and intense cravings. While many try to blame people for their addiction to drugs, some fail to recognize that no one wants to be addicted or controlled by anything, especially if that thing starts negatively affecting the positive things in their life like relationships and earning an income. We are here to help and work with you along the road to recovery. The Recover is an unbiased substance abuse and mental health news provider that helps people who are looking for the right treatment programs in their area. We also provide information on West Virginia centers for addiction recovery. Call us at (888) 510-3898 to talk to a treatment specialist who can help you find the right rehabilitation facilities for your personal needs.